Huang, H., Leng, X., Liu, X., Peng, L., Unified Inference for an AR Process with Possible Infinite Variance GARCH Errors, Journal of Financial Econometrics, Revised. Liu, X., Mosler, K., Mozharovskyi, P., Fast computation of Tukey trimmed regions and median in dimension p>2, 2019+, Journal of Computational and Graphical Statistics, DOI: 10.1080/10618600.2018.1546595. Liu, X., Luo, S., Zuo, Y., Some results on the computing of Tukey’s halfspace median, Statistical papers, 2019+, DOI: 10.1007/s00362-017-0941-5. Liu, X., Rahman, J. 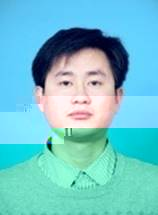 (学生), Luo, S., Generalized and robustified empirical depths for multivariate data, Statistics and Probability Letters, 2019, 146, 70-76. Liu, X., Yang, B., Cai, Z., Peng, L., A Unified Test for Predictability of Asset Returns Regardless of Properties of Predicting Variables, Journal of Econometrics, 2019, 208, 141-159. Liu, X., Peng, L., Asymptotic Theory and Unified Confidence Region For An Autoregressive Model, Journal of Time Series Analysis, 2019, 40, 43-65. Liu, Y., Liu, X., Testing conditional independence with data missing at random. Applied Mathematics-A Journal of Chinese Universities, 2018, 33, 298-312. Liu Y., Wang, Q., Liu, X., Testing conditional independence via integrating-up transform, Statistics, 2018, 52, 734-749. Liu, X., Luo, S., Zuo, Y., The limit of finite sample breakdown point of Tukey’s halfspace median for general data, Acta Math Sinica(SCI), 2018, 34, 1403-1416. Liu, X., Zuo, Y., Wang, Q.H., Finite sample breakdown point of Tukey’s halfspace median. Science China Mathematics (SCI), 2017, 60, 861–874. Liu, X. (2017). Fast implementation of the Tukey depth. Computational Statistics, 32(4), 1395-1410. Liu, X., Approximating projection depth median in higher dimensions, Communication in Statistics: Simulation and Comput- ation (SCI), 2017, 46, 3756-3768. Liu, X., Wang, Q., Liu Y., A consistent jackknife empirical likelihood test for distribution functions, Annals of the Institute of Statistical Mathematics(SCI) , 2017, 69, 249–269. Liu, X., Empirical likelihood for the response mean of generalized linear models with missing at random responses, Communication in Statistics: Simulation and Computation (SCI) , 2017, 46, 164-173. Guo, W., Liu, X., Zhang, S., The Principal Correlation Components Estimator and its Optimality, Statistical Papers(SCI) , 2016, 57, 755-779. Liu, X., Luo, S., A skewness-adaptive projection depth, Acta Mathematica Sinica, Chinese Series (数学学报中文版, 国内A), 2015, 58, 1-14. Liu, X., Yijun Zuo. CompPD: A MATLAB Package for Computing Projection Depth,Journal of Statistical Software (SCI 2017影响因子22.737), 2015, 65(2), 1-21. Liu, X., Ren, H., Wang, G., Computing halfspace depth contours based on the idea of a circular sequence, Journal of Systems Science and Complexity (SCI), 2015, 28, 1399-1411. Liu, X., Zuo, Y., Computing projection depth and its associated estimators, Statistics and Computing(SCI), 2014, 24: 51-63. Liu, X., Zuo, Y., Computing halfspace depth and regression depth. Communication in Statistics: Simulation and Computation(SCI), 2014, 43: 969-985. Liu, X., Zuo, Y., Wang, Z., Exactly computing bivariate projection depth contours and median, Computational Statistics and Data Analysis (SCI), 2013, 60: 1-11. Hu, X., Liu, X., Empirical likelihood confidence regions for semivarying coefficient models with linear process errors. Journal of Nonparametric Statistic (SCI), 2013, 25: 161-180. Wang, G., Wang, Z., Liu, X., Empirical likelihood for censored partial linear model based on imputed value. Communication in Statistics: Theory and Methods (SCI), 2013, 42: 644-659. Liu, X., Hu, X., Wang, G., Li, B., Zero finite-order serial correlation test in partially linear single index models, Journal of Systems Science and Complexity (SCI), 2012, 25(6): 1185-1201. Liu, X., Wang, Z., Hu, X., Estimation in partially linear single index models with missing covariates. Communication in Statistics: Theory and Methods (SCI), 2012, 41(18): 3428- 3447. Liu, X., Wang, Z., Hu, X., Testing heteroscedasticity in partially linear models with missing covariates. Journal of Nonparametric Statistics (SCI), 2011, 23 (2): 321-337. Liu, X., Wang, Z., Hu, X., Wang, G., Testing serial correlation in partially linear single-index errors-in-variables models. Communication in Statistics: Theory and Methods (SCI), 2011, 40 (14): 2554-2573. Yang, B., Liu, X., Cai, Z., Peng, L., Unified Tests for a Dynamic Predictive Regression, Journal of Business & Economic Statistics, Under review. Liu, X., Ma, H., Jiang, J., OBOR: A One-bring-one Route to Estimation of MSPE of OBP under Potential Model Misspecification, Journal of the American Statistical Association, Under review. Liu, X., Li, Y. (学生), Liu, Q., A new class of Lq zonoid depths. Submitted. Liu, X., Chen, Y. (学生), Liu, Z. (学生), Dong, Y. (学生), On similarity of the sample projection depth contours and its application. Submitted. Liu, Q., Liu, X., Limit theory for an AR(1) model with intercept and a possible infinite variance, Submitted. Liu, Q., Liu, X., Hu, Z. (学生), Bahadur representations for the bootstrap median absolute deviation and the application to projection depth weighted mean. Submitted. Liu, X., Liu, Y. (学生), Lu, F., Empirical likelihood-based uniform confidence region for a predictive regression model, Submitted. Liu, X., Li, Y. (学生), General notions of regression depth function. Acta Mathematicae Applicatae Sinica, English Series, Revised. Liu, X., Ping, S. (学生), Liu, Y. (学生), Empirical likelihood based test for the intercept of a predictive regression model, Working Paper. Liu, X., He, Y. (学生), RR-plot: A descriptive tool for regression observations, Submitted. Liu, X., Robust quantile regression for linear models.